Two Arizona residents claimed to have seen the famous “Phoenix Lights,” a 1997 event in the Southwest's long history of sightings of unidentified flying objects. Kerrie and Jeff Zakaras, residents of the town of Goodyear near Phoenix, believed they saw the famous lights on Tuesday over the Estrella Mountains, a regional park in the area. "From our viewpoint it was kind of like a headlight, but hovering," Kerrie told ABC15. The couple says that, despite the strange sighting, they don’t believe in UFOs. Sci-Fi and paranormal writer Alejandro Rojas certainly does, but he dismissed the recent observation. "Those are believed to be flares dropped by the military," said Rojas. Luke Air Force Base officials confirmed to ABC15 they were conducting training that night, involving the use of flares. "In this case it looks to be military exercises, so mystery solved. But in many cases the mystery is still out there and mysteries out there where we still don't know what they are," said Rojas. 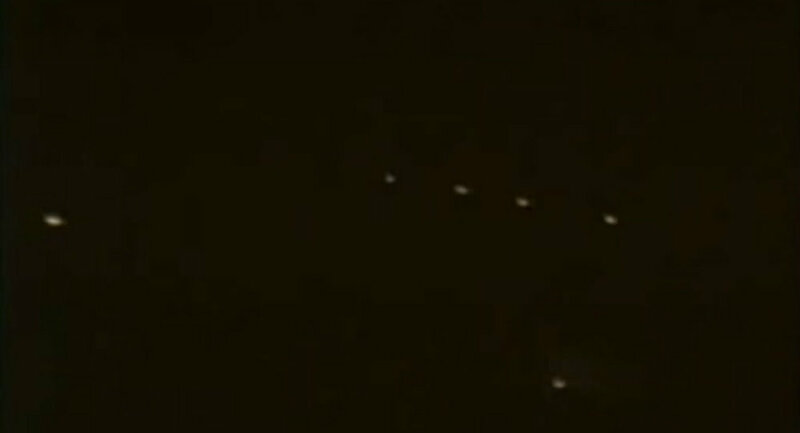 The original “Phoenix Lights” happened in March 1997.